Picatinny Arsenal's Army Community Services (ACS)'s mission is to facilitate the commander's ability to provide comprehensive, standardized, coordinated and responsive services that support Soldiers, Department of the Army Civilians, and Families regardless of geographical location and to maximize technology and resources, eliminate duplication in service delivery and measure service effectiveness. For a complete listing of services and contact numbers visit the Picatinny Arsenal Directory. ACS support at the Soldier and Family Support station at the SRP site includes individual readiness assessment, Family Care Plan review and assistance, information and follow-up, individual information mailing to next of kin. For a complete listing of services and contact numbers visit the Fort Dix Directory. The Family Programs office is designed to answer the questions as a spouse may have. It can be a valuable source of information for all family members. The site provides an overview of military benefits and how to access them, identifies eligibility requirements associated with some entitlement, and, most importantly, lets you know where you can obtain assistance when you have specific questions and problems. Knowing your benefits and how to access them will help you plan for when your spouse or family member is away performing military service. The Family Assistance Centers help family members of a National Guard or Reserve Soldier; Marine, Airman, or Sailor on active duty. These centers can assist with Identification Cards, TRICARE, and dental issues, and also provide emergency referral and assistance with financial and legal issues. Each Family Assistance Center is trained to help families get the support and information they need, as quickly as possible, while lending a sympathetic ear to those in need of one. Access a complete list of Family Assistance Centers in New Jersey or call the toll-free number at 1.888.859.0352. 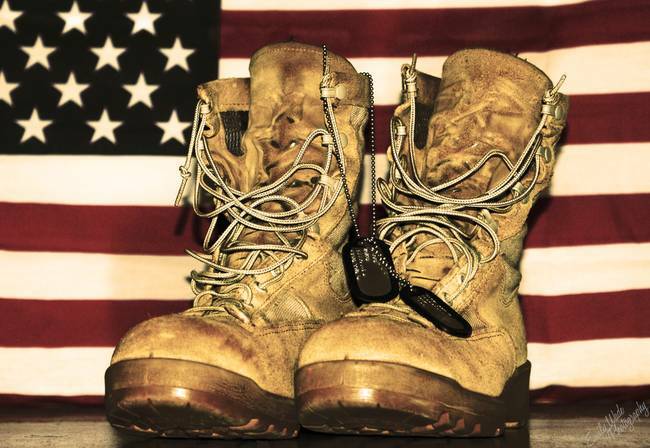 NJ Vet2Vet is a 24/7 helpline coordinated by UMDNJ - University Behavioral HealthCare. The helpline features peer counseling, clinical assessments, and assistance to family members. The helpline provides New Jersey Veterans and their families with access to a comprehensive support network of mental health professionals who specialize in issues specific to veterans returning to civilian life. Visit their website or call the hotline at 866.838.7654 for more information. Wells Fargo has joined forces with the National Foundation for Credit Counseling (NFCC) and is working within the Foundation's Sharpen your Financial Focus initiative to bring the Hands on Banking for Military financial education program to service members in the continental United States. In addition to the group education designed to keep military personnel and their families on a path to financial reviews, budget planning and concrete solutions to pressing financial concerns. Call 855.374.2773 to schedule a one-on-one financial review with an NFCC Certified Financial Professional. This resource is available 24-hours a day, 7 days a week to serve domestic violence victims and other seeking information about domestic violence. The hotline provides bilingual service and is accessible to the hearing impaired. Learn more about the domestic violence programs available in your county. WorkFirst NJ is the state's welfare reform program. The goal is to help people get off of welfare, secure employment, and become self-sufficient, through job training, education and work activities. WFNJ provides temporary cash assistance and many other support services through the Temporary Assistance for Needy Families (TANF) program. The Kinship Navigator Program supports caregivers who have taken on the responsibility of caring for their relatives' children. Local kinship agencies help caregivers navigate other forms of government assistance, determine their eligibility for Kinship Navigator Program benefits such as help with short-term expenses for the relative child, such as furniture, moving expenses and clothing. The kinship agencies also provide technical support and guide the family through the process of Kinship Legal Guardianship if the caregiver wishes to make a legal commitment to the child. The Catastrophic Illness in Children Relief Fund is a financial assistance program for New Jersey Families whose children have an illness or condition otherwise uncovered by insurance, State or Federal programs, or other sources, such as fundraising. The fund is intended to assist in preserving a family's ability to cope with the responsibilities which accompany a child's significant health problems.